TH91-719 Viewer program Download | Support | NIPPON AVIONICS CO.,LTD. Thumbnails of thermal image (SIT, SVT, TMP) on Windows-Explorer. The personal computer with which Windows 2000 Professional and Windows Xp Home Edition / Professional. #Display: XGA (1024 x 768) or higher resolution display, 65536 (16 bits) or more, color display required. When grading up this program, uninstall the existing one beforehand. Click the Start menu. The menu appears. 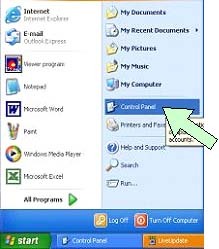 Point at Settings with a mouse, and then move to submenu on the right. The Control Panel dialog box appears. Double-click "Add/Remover Program Properties". 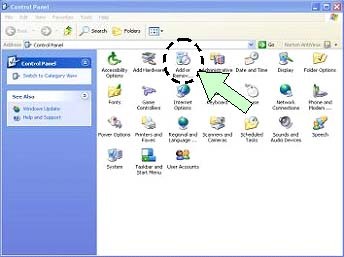 The Add/Remover Program Properties dialog box appears. Click the [Yes] button in the confirmation dialog box. A dialog box indicating "Are you sure to delete shared files" may appear during un-installation. In such cases, click [All No] if you are not sure. 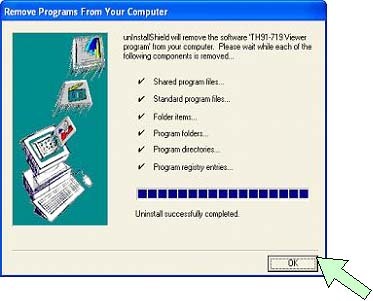 Un-installation completes when the finish message appears.